Maria Lokken | Can too much creativity be a bad thing? I’m going to have to answer yes to the above question. I’ve seen ad agencies get carried away by producing commercials that are so creative and outside the box that they forgot to sell the product, and in some cases the ad doesn’t even tell you what the product is. The basics of Marketing 101 are to get your product known and get it sold. Therefore, it would seem obvious that the purpose of a commercial is to sell the product. It doesn’t matter how many Clio awards one wins for best ad of the year, what matters, or what should matter is moving the product into the hands of the consumer. I know, as creatives, we don’t like to hear words like sales, profit, and bottom line – but as a producer or client, those words are almost lyrical. The message, while wrapped in a creative package, should make the viewer want to pick up the phone, log onto a website, or grab their car keys and buy, buy, buy. Consumers buying lots of products is what every company hopes for when they put money into advertising. So why be ambiguous, ethereal, or vague with the ad? Why be so clever that you hurt the bottom line? I think that’s exactly what the Droid did with their initial ad campaign. 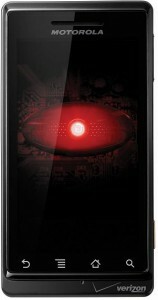 The Droid is a smartphone from Verizon, Motorola and Google. This seemingly unbeatable trio had a one million dollar ad campaign to introduce the Droid as the answer to Apple’s iPhone, and yet I don’t think they hit the mark. The results are in the numbers – the iPhone sold over 1 million phones during the first weekend of its release, and the Droid will potentially sell 1 million during their first quarter. How could this be? Verizon is a superior network with more customers, Motorola makes good products, and Google is ubiquitous. I think it was the ad campaign. You just didn’t know what the heck they were selling. The iPhone ads tell you exactly what you’re getting. They even tell you it’s a phone. The Droid’s announcement was a commercial called “The Stealth.” It featured several stealth bombers dropping “bombs’ on remote locations throughout the U.S.; in the middle of an ocean, on a deserted highway, in a forest – and finally in the front yard of a desolate ranch. It was beautifully shot and very reminiscent of the “Independence Day” movie trailer. The last shot features two older men walking toward the crater that is now the front of their ranch while the ‘bomb’ opens up to reveal something we can’t identify. The older rancher says to his companion –“What in the world is that?” A question, I say needs an answer, because the commercial told me nothing. It didn’t even tell me it was a phone. And furthermore, it is highly unlikely that two ranchers in the middle of nowhere are interested in a phone that will give them a wireless connection to the internet, a convenient way to watch YouTube, a built in application to keep all their contacts straight and the ability to take photos at a moment’s notice to send to friends and relatives. Here was an opportunity for Verizon a better network, with more customers to steal the thunder from the iPhone. More people own PC’s than Macs, more people use the Verizon network than AT&T and they’re showing me stealth bombers and remote locations in the US. I think they were too creative for their own good. And I believe that’s why the Droid’s sales didn’t crush the iPhone. What about you – any commercials you’ve seen that were so creative the message didn’t reach you? I agree completely that when clever is the goal and not selling products, the message is lost upon the consumer. The best example of a advertisement FUBAR of epic proportions were the Bill Gates/Jerry Seinfeld Microsoft ads (http://www.youtube.com/watch?v=11NOblvuEpU). They painfully missed the mark and failed to convey anything other than a sense of the surreal. I’m all for pushing boundaries, but if you’re going to go way out there, you have to take the audience along with you. Gabriel – I forgot about those Microsoft ads. Yikes! They were pulled faster than you could say “What??!”. Thanks for the illustrative links.